Hi there!! My favorite season is finally here and the Holiday sets and palettes are rolling in! That means all of your hard earned money will be left on the makeup counter [lol]. 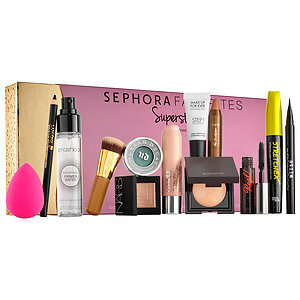 If you've started your Christmas shopping (yes, there are a few sets I've been eyeing), you should totally take advantage of the new limited edition collections at Sephora. 14 shades of these beautifully intense colors! 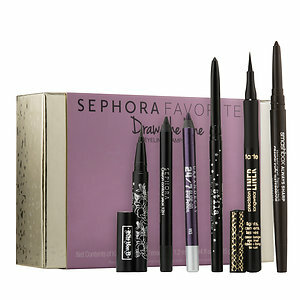 ABS seems to be most popular for their brow products, but with this palette, you can create a range of different looks. Definitely a limited edition palette worth purchasing. Not only are the colors beautiful, look at the packaging, and the shades are perfect for the holiday season! I'm in LOVE with Marc Jacobs Beauty [lol]. Their foundations and primers are such a hit, I want to try the lippies. Thankfully, they have a value set of five deluxe-sized lip cremes. It also comes with a cute little leather pouch, which I'm sure will be useful somehow. What beauty items are you lusting for this month?